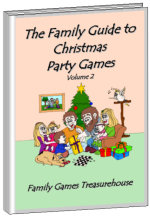 gather for feasting, prayer and fun. The holiday season has begun! Anticipation and excitement build to an all time high as the family gathers together for one celebration after another. Thanksgiving is a special time of the year when you can simply stop, reflect and be thankful for the many blessings you've received over the past year. It's also a time for being together and enjoying one another's company. Celebrate Thanksgiving with your family and friends by enjoying your favourite games together. 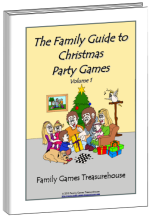 You may enjoy playing board games, card games and jigsaw puzzles. 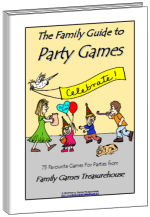 If you're with a large group you may enjoy playing thanksgiving party games, which are a little more active! 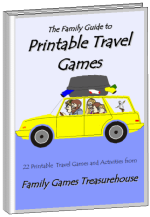 Here is an entertaining selection of Thanksgiving Day Games which your family will enjoy playing together, with friends or with a whole bunch of people. 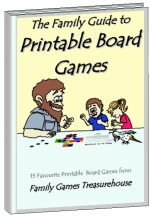 Just click on the name of the game of your choice below, and you will be taken to a page with full printable instructions for how the game is to be played. Turkey - A team game to find out who can best decorate the "turkey"
Thanksgiving Pinata - A turkey pinata! Who can gobble up the prizes first? Thanksgiving Guggenheim - Can you complete all the categories of THANKS?